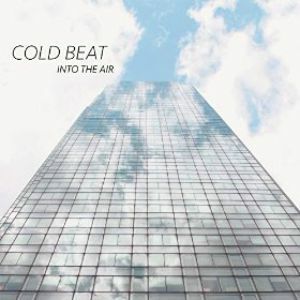 Cold Beat’s second LP, Into The Air, doesn’t abandon the chilly synth/scratchy guitar template that made Over Me an attention-getter last year, but instead builds on it and sharpens the edges. Where the latter was more inward focused, the new album looks outward. It’s tempting to view it through the prism of the artistic brain drain on the Bay Area artistic community, and the impact of Silicon Valley and the serpent of the “sharing economy” on the region. To work the DIY angle there at this point in time is a statement. Move and breathe, or stay and fight. Band mastermind Hannah Lew has kept busy. With Grass Widow, her previous band, on hiatus, Lew formed the label Crime On The Moon and put her energy into Cold Beat. While the rave up “Outrunning Shadows” and “Spirals” are standout tracks, it’s the consistency of Into The Air that wills out, with its tougher sound and new elements. The male backing vocals on “Broken Lines” and guitars throughout are downright abrasive. The confidence shows, with most songs ending cold, the echo leaving a psychic chem trail. None more so than closer “Ashes,” with its Morse-code ending sending a frantic transmission from the front lines.